The singer also announced a series of headlining U.S. shows. 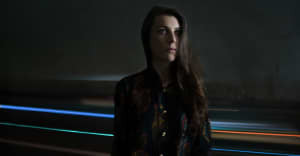 Rick Bahto directed the clip for "Silhouette," which appeared earlier this year on Julia Holter's Have You In My Wilderness. The video has grainy, homemade qualities; much of it is shot in black and white. Watch above, and find out why Holter thinks all love songs are delusional. Check out the singer's tour dates below.